Stop Smoking With Hypnosis Now! Despite the fact that I have done the additional training in advanced smoking cessation which allows you to give up smoking in one hour, I personally believe it is far more effective to get to know my client’s individual needs and tailor the programme accordingly, rather than offer a generic one size fits all session. 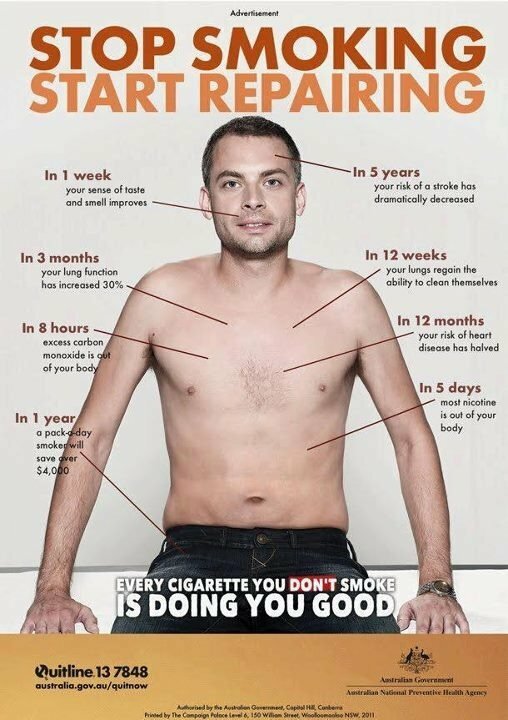 My goal is for you to be a permanent non smoker, not someone who stops for awhile then starts up again. 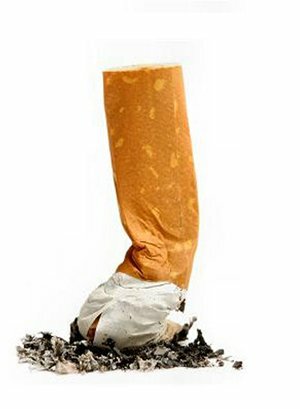 My smoking cessation programme is done over three consecutive weeks and the programme is tailored to your meet own personal needs. These are much more eveident after the first session as you begin the journey to being a non smoker. After arranging suitable appointment times, confidential forms are sent to make sure that the programme you receive is tailored to your unique personal requirements. These forms must be returned prior to your first appointment or brought with you on the day. The initial session is one hour long and will include CBT, NLP, Psychotherapy and Hypnotherapy. You will find smoking less enjoyable and you wll find times when you may have smoked before which no longer occur, without you having to force yourself to stop. The second session is even more powerful with subliminal non smoking messaging in the session to further enhance your success. In this week most clients find they have significantly reduced their consumption and many have stopped completely. Any concerns or queries are addressed prior to the hypnotherapy to make the session even more tailored to your specific needs. The third and final week is when you receive your permanent non smoking CD complete with powerul subliminal messaging. You become a permanent non smoker. No matter what situation you are in, smoking is a thing of the past. The wonderful after effect is with your increased confidence and relaxation and the immense pride of succeeding at being a non smoker- you will find other outdated habits much easier to conquer. A Generic Relaxation and Confidence MP3 or CD to listen to between sessions to encourage a deeper hypnotherapeutic session. Your personal MP3 or CD to take with you for home use should you ever need it as a back up in the months and years to come. All three one hour personally tailored therapy sessions. Paypal (payable to diana@dianaluke.org only in advance of first session) is acceptable. Please check the former client feedback for their non smoking success. If you have any further questions feel free to get in touch with me. Not being able to breathe properly. Lots of phlegm, lots of throat-clearing, and losing your voice mid-sentence. Painful heartburn every night and every time you drink coffee. Feeling winded after mild activity. Severe throbbing headaches, occasional migraines. Dizziness after smoking too fast or too many cigarettes. Nausea from smoking too much. The constant coppery, ashy taste in your mouth. Yellow skin, teeth and fingernails. Anxiety from the fear of what you are doing to yourself, and the consequences. No relaxation, always feeling in need of something. A constant feeling of not being satisfied. Feelings of shame and irritability while spending time with non-smokers. Not accomplishing tasks because of wasted time smoking. The late-evening/middle-of-the-night trip to the petrol station. Going out in bad weather to smoke alone. Feelings of inadequacy and substance dependence. Driving your cat/dog/family out of the room every time you light up. Dry mouth and constant feelings of thirst. Coughing so hard that you make yourself sick. Fear of being unable to quit, of dying an untimely, painful death. The stinging feeling in your lungs when you try to take a deeper or slower breath. Getting smoke in your eyes. Burning your lips on the filter. Trying to light short butts, and feeling your eyebrows singe. Re-lighting a previously torched cigarette, so you don’t “waste” any tobacco. Overflowing ashtrays, ashes and dust everywhere. Burn holes in your car upholstery, and on your clothes. The cost. All that money wasted on ruining my health and well-being. Your nails and hair grow very slowly. It fuels your compulsiveness relating to other bad habits, such as nail-biting, and binge-eating. The filthy taste of cheap tobacco. Having to crack the car window in the pouring rain. Wet leg, wet arm, water in your eyes. Tar build-up on windows and furniture. The way your hair and skin smells. Spilled tobacco and ash on your computer desk. Dropping a cigarette while driving. Trying to tap your ashes out the car window…while the window is rolled up. Dropping hot ashes or losing the tip of a cigarette. Feeling “exiled” in the smoking section/smoking area. Dulled sense of taste and smell. “Hi Diana Just wanted to let you know how I am doing. It has been over six months now and still not one cigarette!! There have been times I have thought… what if… but those sabotaging thoughts have almost competely disappeared now. Best of all I have not put any weight on and am keeping fit. I have a new boyfriend now and things are looking up – watch this space! And you may have some more clients soon as my friends want to know how I did it! You still have time to stop… Now! These figures below are based on research by more than one cancer society and do not represent guaranteed clinical or physical improvements to any one particular individual. It is widely accepted that non smokers, even those who have smoked at some time in their lives, live longer and with a higher quality of life than those who smoke or continue to smoke. Temperature of hands and feet return to normal. Chance of heart attack decreased. Exercise, including walking, becomes easier. Lung function increased by up to one third. Cilia re-grow in lungs and airways, increasing lung’s self maintenance. Coughing, sinus problems, tiredness, shortness of breath, all decrease. Excess risk of heart disease is halved. Recovery rate from heart/bypass surgery almost doubled. Lung cancer death rate for average former smoker almost halved. Risk of stroke similar to non-smoker. Lung cancer death rate the same as for non-smokers. Risk of cancer of mouth, throat, bladder, kidneys, and pancreas decreases. Risk of heart disease is that of a non-smoker.